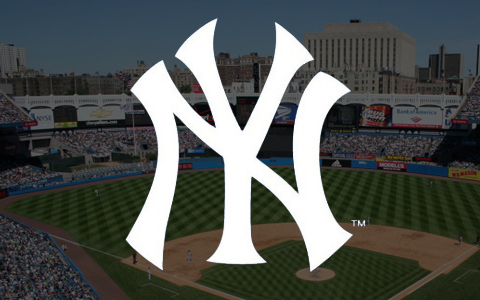 Jennifer Steinbrenner Swindal, a New York Yankees general partner and the daughter of longtime team owner George Steinbrenner, stated Wednesday the family still has no plans to sell the organization. Dan Martin of the New York Post passed along comments Swindal made during a team charitable event called “Winter Warm-up” for the elderly. She said the family’s long-term outlook hasn’t changed since her father’s death in 2010. Swindal noted her son, Steve Swindal Jr., has taken on a role in baseball operations to help set the stage for a smooth transition to the next generation. She also praised Hal Steinbrenner, her brother and the team’s principal owner, for his job handling the franchise in recent years. Although questions are raised about a potential sale on seemingly an annual basis, the remarks echo those made by Hal Steinbrenner last spring training. He told Wallace Matthews of ESPN.com his father would be happy with how the family has stuck together to make things work. A lot is made about the Yankees’ lack of marquee free-agent signings since the death of George Steinbrenner. The inclusion of a luxury tax paired with having to pay off massive contracts has forced the team to avoid those major offseason splashes for the most part, though. Furthermore, New York ranks second in payroll average over the past three years, according to the Baseball Cube. The Bronx Bombers still rank first in that category over the past 10 and 15 years. Well, this is my hope: First and foremost, as you see we’re transitioning from contracts that we vested heavily in and it did pay off for us in ’09 (with a World Series championship). So at the end of the day we are going to be in a position to do a number of things, and maybe we can turn the clock back to be big-game hunters that we have been accustomed to being. The current generation of Steinbrenners have been hamstrung by the team’s financial situation after working hard to chase down the 2009 title. But the fanbase will want them to become high-end buyers once again next winter with superstar outfielder Bryce Harper among the possible free agents. Visit StubPass.com for Nickelback Tickets, Britney Spears Tickets, Wicked Tickets, Elton John Tickets, Billy Joel Tickets, Kenny Chesney Tickets and thousands of other Concert Tickets and Sports Tickets. Visit MiracleShopper Comparison Shopping for Yankee Apparel, Digital Cameras, Laptop Computers, Cell Phones, LCD TVs and more! COPYRIGHT © YankeeAddicts.com. All rights reserved. YankeeAddicts.com is not affiliated with the Yankee Baseball Team or the MLB.